Waveny House on Jan. 24, 2017 in New Canaan, Conn.
NEW CANAAN — Research and preparation for the nomination of the Waveny Estate to the National Register of Historic Places is underway. The New Canaan Preservation Alliance hired Virginia Adams, a senior architectural historian from The Public Archeology Laboratory, Inc. (PAL) to continue the nomination. Adams will be in charge of coordinating research efforts along with a landscape and architectural historian. 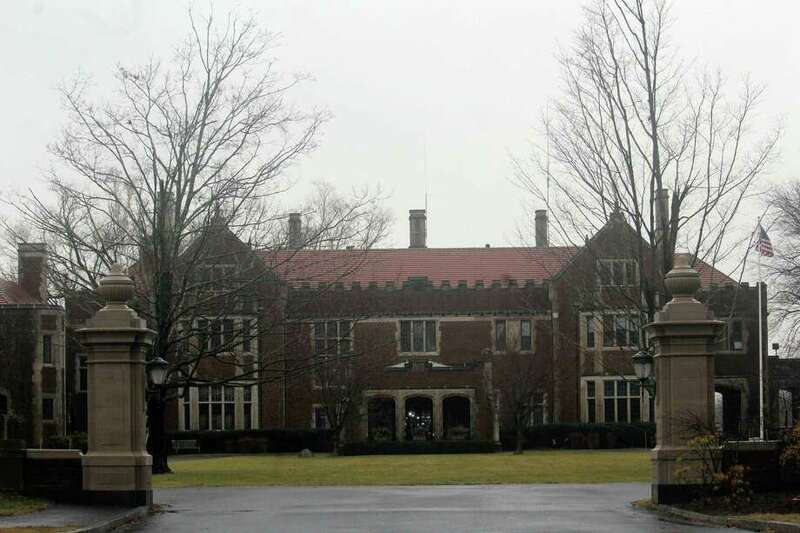 The Waveny House was purchased by the town in 1967 and is at the center of Waveny Park which has 250 acres of parkland according to the New Canaan Parks website. The nomination costs a total of $30,000. Half of the nomination was funded by the New Canaan Preservation Alliance and the other half was funded with a grant from the State Department of Economic and Community Development Commission. The Alliance and PAL are planning to have a draft submitted by the spring or summer of this year. The nomination would then work its way through a local and state review before being sent to the National Park Service in Washington, D.C.
“We’re hoping to send the nomination by summertime and then we have a schedule from the State Preservation Office to be reviewed. When approved, it will be sent to Washington. In all, the process takes about a year,” Scott Long said. Scott Long described the way information is being sought and obtained. “There are a number of relatives of the people who owned the property, including the granddaughter of the Waveny House architect, William B. Tubby. We usually do interviews with people who have information about the property.” Scott Long said. Adams and her team will have to define the property’s boundaries, which is specifically the Waveny Park Historic District, and compile information on it. The nomination includes the main house built in 1912 but boundaries have yet to be determined. “One of the things we’re looking at is to set the appropriate boundaries for the nomination and that will be based on the history of the property. We’re looking at the estate, the land, the house and other buildings - essentially the entire park,” Adams said. Adams also added that the compiling of information could help for grant applications in the future. The Town Council formally gave the go-ahead for the nomination of the Waveny Estate to a historic registry back in 2014 with an evenly 6-6 split from the Town Council, a meeting where now First Selectman Kevin Moynihan voted against the proposal. This split required then First Selectman Robert Mallozzi to cast the tie-breaking vote in favor of the nomination.